After the brilliant success of Nottingham estate agents Walton & Allen’s virtual viewings; allowing potential buyers to view properties without having to leave their home, Rightmove has decided to begin testing their very own virtual reality viewing platform. 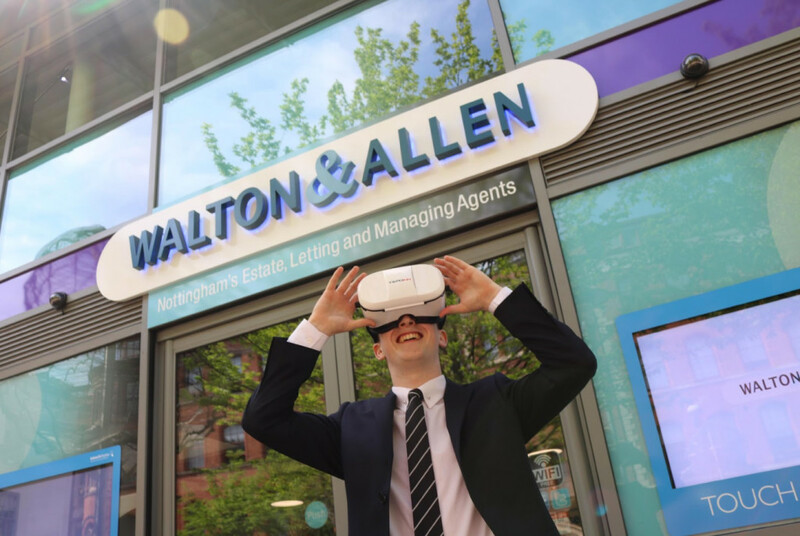 We hold great pride in saying that Walton & Allen, Nottingham’s leading estate agents, were the first estate agency in the UK – possibly the first in the world – to construct these virtual reality tours for property viewings. These kind of tours give prospective buyers the chance to explore different properties, inside and out, without having to leave the comfort of their own home. This benefits everyone as it will “reduce the number of unnecessary viewings sellers have to go through before achieving a sale,”. It’s extremely satisfying to know that we are the first to kick-start this growing trend in the future of property sales. We’re always looking for new ways to make the process of buying and selling property easier, and we’re looking forward to seeing how this makes an impact in the estate agency industry. Walton & Allen Construction and Maintenance team use recycled rubber tyres to create sustainable flooring!